Given the speed at which science and technology have evolved in the past few decades, it’s not surprising to hear about and even own things that used to be figments of your imagination. If you had to put up with a bulky mobile phone with a retractable antenna during the 1980s, you probably now enjoy the benefits of a lightweight and convenient smartphone. When it comes to the manufacturing industry and the medical field, however, 3D printing technology is a key innovation everyone is raving about and rooting for. Every year, various technological innovations never fail to surprise and amaze global consumers. In fact, a fine example of an impressive development in the manufacturing industry, which is slowly extending its influence over other sectors, is 3D printing. 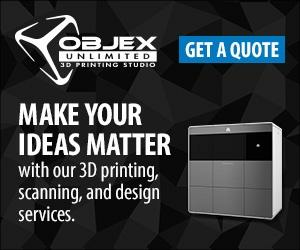 Today, projects or industries that require rapid prototyping in Ontario via 3D printing can be handled by a number of established companies like Objex Unlimited. Technology moves at an exhilarating pace as various experts continue to discover new ways to bring groundbreaking concepts and solutions to fruition. The field of medicine is one of the primary beneficiaries of modern technological advancements, particularly tools and gadgets that enable faster delivery of medical solutions to various injuries and ailments. A story posted on Marlin Finance shares that 3D printers and scanners are starting to make promising strides in the medical field.